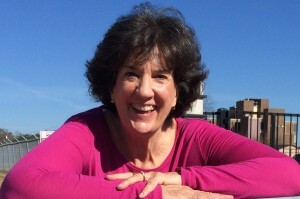 Abby Lentz began practicing yoga after becoming a mom in 1974. She founded HeavyWeight Yoga® in 2004 after she earned her Kripalu Yoga Teaching Certification. Abby’s HeavyWeight Yoga DVDs have been well received and continue to be top sellers on amazon.com. She was named toFitness Magazine’s Fit 50 List, as well as being chosen by More Magazine in both their Best Workout DVD Dozen and Best Yoga DVDs — a list that included Rodney Yee, Shiva Ra, and Julian Michaels. On TV news, Abby has appeared on Better, the nationally syndicated lifestyle show from Better Homes and Gardens, WFAA in Dallas, as well as the morning news programs Great Day Houston and Great Day San Antonio. Her presentations on “Yoga is not a 4-letter word” and “The obese athlete, not an oxymornon” have been well received at health conferences and corporate events. Abby launched her HeavyWeight Yoga teacher certification in 2011, and her teaching students’ classes are now being offered in Chicago, Dallas, Ft. Worth, Houston, and Wilksboro, NC. In 2012 Abby became a member of the Sundara Integrative Yoga Therapy faculty, where she instructs new yoga teachers on Sensitivity as well as The Business of Yoga. She has studied with three of the Yoga Journal Yoga Innovators — Lilias Folan, Erich Schiffmann and Judith Lasater. She became one of Judith’s certified Relax & Renew Instructors in 2005. Off the mat, Abby is an avid bicyclist and movie goer. She’s walked the Dublin City Marathon to benefit the Arthritis Foundation and is a triathlete, having completed the Danskin Triathlon three times. She has been a rider in two of Lance Armstrong’s Ride for the Roses and in the 2-day Hill Country Ride for AIDS. Seemingly living her life in reverse, Abby didn’t go to college until she was 30. In 1982 she graduated with Highest Honors from the University of Texas at Austin, where she was a Presidental Scholar. She’s also a member of Phi Beta Kappa and Phi Kappa Phi.